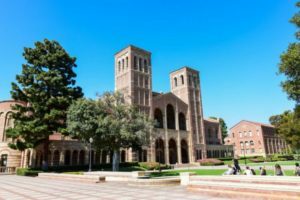 On the THE ranking list of the 100 best public universities, UCLA (University of California, Los Angeles) comes first, overtaking the University of Michigan-Ann Arbor, last year’s leader. The state of California has four universities out of the top 10. On the overall list UCLA only ranks 25th way behind the best private universities of the region, Stanford (joint 3rd), Caltech (7th) and the University of Southern California (joint 15th).